Our warm, bright summer, followed by a clement fall, produced a vintage that shows exceptional ripeness. Loose clusters bathed in sun create soft tannins as a result of the prolonged ripening in fall. This extended “hang time” as we call it, endowed the ’16 with a rich and generous palate. The aromas and flavors are distinct to the variety with fresh Bing cherry and black currant finishing in a note of blackberry and mocha. 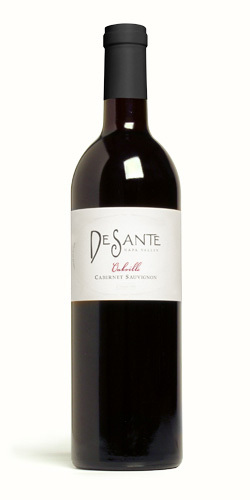 We gave the wine additional structure by co-fermenting the Cabernet fruit with its small-berried cousin, Petite Verdot. The freshness and bright “blue fruit” flavors added by Verdot (12%) bring this ripe Cabernet into balance, making the ’16 a wine that will age well for 5-10 years.